Unless you've been in hibernation over the last few years, you have probably heard the term 'superfood' being thrown around in health articles, television shows, and in day-to-day life. Superfoods are a unique group of foods that are packed with health benefits, nutritional goodness, vitamins and can even help prevent major disease like cancer. There are classic superfoods - such as blueberries, broccoli, and salmon - but those are only the tip of the iceberg. You can never have too much of a good thing, so here are the top five superfoods you may not know bout, and some tips on how to incorporate them into your diet. So many people want to know how to lose weight fast, and the answer is simple: expend more energy than you consume - in other words, eat less and move more! Keeping your stomach satisfied and full can sometimes be a mission, but this is where chia seeds step in. Not only do chia seeds contain more omega-3 than salmon and more iron than spinach, but they also swell in size when they come in contact with water, which helps fill you up quickly. Nutritionists recommend one teaspoon of chia seeds every day (make sure you consume it with water!) - sprinkle it over your morning breakfast, put it into a smoothie, or just add the seeds to a glass of water for a quick and filling snack. Probably one of the better known superfood, acai berries are up there with blueberries for their nutritional and health benefits - in fact, acai berries actually have more antioxidants than blueberries! Also high in vitamins and enyzmes, the acai berry is a perfect treat for your body and for a sweet tooth. Buy them in a pack and mix a handful of berries into your favourite smoothie, or buy acai berries drizzled in dark chocolate for a healthy dessert or snack. Probably one of the more well-known of these five superfoods, wheatgrass is an awesome food to keep your body healthy. Wheatgrass is loaded with chlorophyll to help build blood, and also helps to cleanse the body and reduce body odour and bad breath (always a bonus). While wheatgrass can be eaten as is or in a pure shot, it can also be mixed in to your favourite smoothies for a nutritious bonus during the day. The Chinese have been drinking goji berries for centuries, so it's a good thing the rest of us have caught on! Goji berries are often used for medicinal purposes, and can help improve eyesight, boost your immunity, and can even prevent the growth of cancer cells in some patients. Plus, like others in its family, goji berries are packed with antioxidants as well. These berries taste great and can be eaten as is, dried up and put in a tea, or drizzled with dark chocolate (along with some acai berries!) for a yummy treat. Like other chlorophyll-rich foods, kale is a natural wonder when it comes to your body's health and nutritional requirements. Kale can help lower cholesterol and prevent or lower the risk of cancer, and it also assists your body's detoxification system. 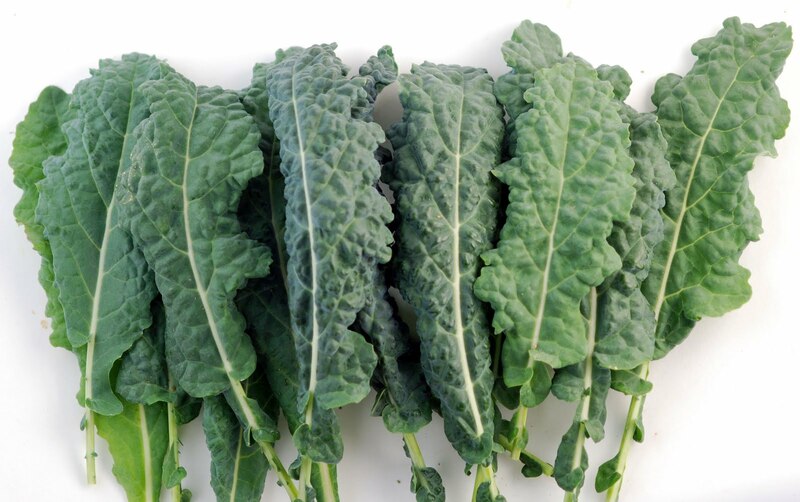 Kale is also packed full of vitamin K, A, and C so you can get your daily vitamin requirements without the multivitamin. Blend kale up with some wheatgrass and fruit for a healthy and delicious smoothie, or steam it and serve with salmon or lean beef to get the most of its health benefits.